Introducing ePuffer’s newest premiere Electronic Hookah offering that will forever change your expectations for e-hookahs and vaping mods, the Arcane!™ This innovative and one-of-a-kind product offers a whole new lot of electronic smoking experience not only to the new fans of e-smoking, but also to the long-time, and more experienced patrons of the hobby! Updated tank structure design to a plug-in atomizer style. The final prototype testing has been completed. EQTS - ePuffer Quality Test Score: 87%. This means we need to revise a few parts to bring quality score to at least 95% before we can start a mass production. Current Step: - Feedback and Testing. July 15, 2018 - At present time we are at the final prototype assembly testing stage. Next Step: 3 days machine testing. July 01, 2018 - Finalized testing of the new in-house developed EPI-200 Vape CPU - Intelligent Multi Function Processor. In recent years, concerns about health and many different and varied ways to maintain and improve it have become a big issue in many cultures. It has played an overwhelmingly important role in the development of different present-day hobbies and technology. A hobby that has been greatly affected (and not for the bad, but for the better!) by this sudden shift in perspective and more intense focus on health is smoking. For as far as anyone could remember, smoking entails having to burn tobacco and inhale its smoke - something that a long time ago has been proven dangerous (and even deadly) to anyone’s respiratory health. In an effort to make this relaxing hobby significantly healthier, e-cigarettes are introduced to the market. The ‘electronic cigarettes’ do not require combustion of any material, lessening (even virtually eliminating it) its bad effects, and are effectively making the smoking process a lot healthier. 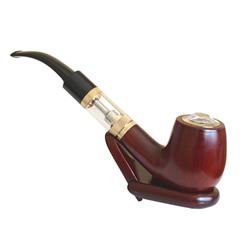 A variant of this e-cigarette paraphernalia is the e-hookah, the electric rendering of the traditional hookah. This device works just like its traditional hookah counterpart, but does not give its users a fraction of the common bad smoking effects - it heats up flavored e-liquids to create a vapor with a pleasant taste and aroma. 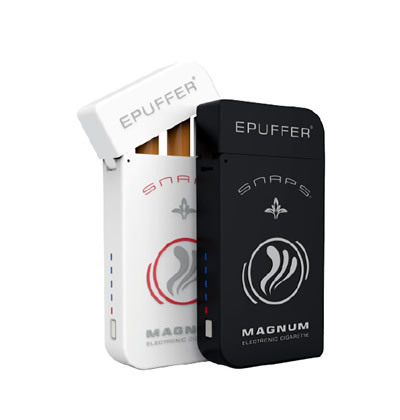 ePuffer has taken this basic use and attributes of an e-hookah to the next level, making sure our consumers will be more than happy with their unit, and their vaping experience. But why choose E-Puffer’s e-Hookah ARC200W over any other e-Hookah units offered on the market? ePuffer’s Electronic Hookah TC100W is an especially interesting and impressive e-hookah unit because of its powerful, and top-notch internals and specifications. 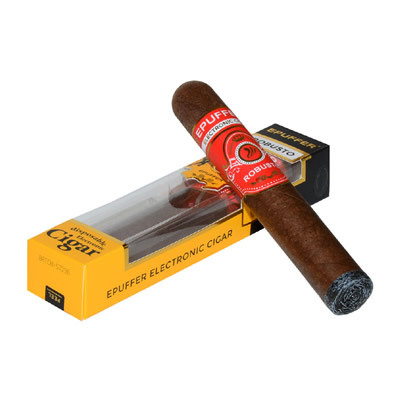 ePuffer’s e-Hookah TC100W boasts of operating on two powerful rechargeable 18650 2500mAh batteries, amounting to a very impressive 5000 mAh combined battery capacity so that a low battery never hinders you from a good puffing session. Being rechargeable, it also powers the device with 100 Watts of power using a high-quality NI200 0.2 Ohm Coil, so you are sure to have only the best, quality vapor puffs. TC100W also supports temperature control, further giving the device more customizable features and better experience for the smokers who puff. It can go up to 600F, something that you would want for the warmer and thicker puffs! 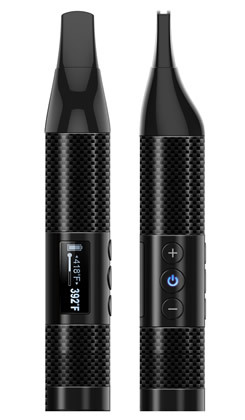 ePuffer’s e-Hookah TC100W is also exceptional because of its easy and hassle-free operation. Just pop the magnetic cover off the unit, put your favorite e-liquid inside and let it sit for five to ten minutes. After that, assemble it on your usual e-hookah base and you can start puffing you heart away! This new model looks very cool! Thanks for the updates, but when will it be available for sale? Seriously, really loving this unit. Sub-ohm, and easy to maintain. I'm really loving this device. The fact that it's a sub-ohm vape on a hookah really makes a big difference. Really enjoying this unit. Easy to use and maintain. Fully charged batteries last for about 5 hours of continues vaping.